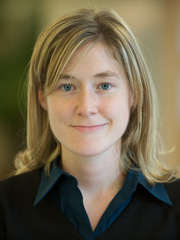 Dominique Piquette completed her MD degree, internal medicine residency, and critical care fellowship at the University of Montreal in 2005. She undertook an additional two-year clinical fellowship in adult critical care at the Sunnybrook Health Sciences Centre in Toronto, followed by a research fellowship at The Wilson Centre and MEd degree at the Ontario Institute of Sciences in Education (University of Toronto). She joined the Department of Critical Care Medicine of Sunnybrook as an intensivist in July 2007. In July 2014, she completed a PhD in medical education at the Institute of Medical Sciences (University of Toronto). Her research work aims at better understanding how postgraduate medical trainees and practicing physicians learn in critical care environments, and at developing educational strategies that optimize the care provided to current and future critically ill patients.